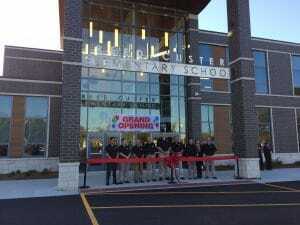 Chicago, IL – November 7, 2017 – Gilbane Building Company is pleased to announce the successful completion of Reed Custer Elementary School in Braidwood, Illinois. The new 105,000 SF elementary school serves students in grades pre-K through fifth. The new facility features 30 classrooms, two gymnasiums, full kitchen and cafeteria, a learning resource center, and dedicated spaces for music and art. The building also includes spaces designed as storm shelters for emergency preparedness.